I know. American Top Gear is not really Top Gear, but Moose isn't contributing, so this will have a rather Continental slant. American Top Gear presenter Tanner Foust announced today that he will compete in at least four rounds of the 2015 FIA World Rallycross Championship. Foust, a winner of the Finland round of the championship last year, will be leaving his Ford sponsored ride this season, instead piloting a Volkswagen Polo RX Supercar sponsored by Swedish Rallycross Team Marklund Motorsport. His limited campaign will begin during the British round at Lydden Hill in Kent at the end of May where he won in 2012 and 2013. “I’m looking forward to being able to return to the FIA World Rallycross Championship for a select season of events this year,” said Foust. He confirmed he will contest World RX of Canada (7-8 August), World RX of France (4-6 September) and the newest addition to the RX calendar, World RX of Barcelona which will be held at the famous F1 venue, Circuit de Barcelona-Catalunya from September 19-20. 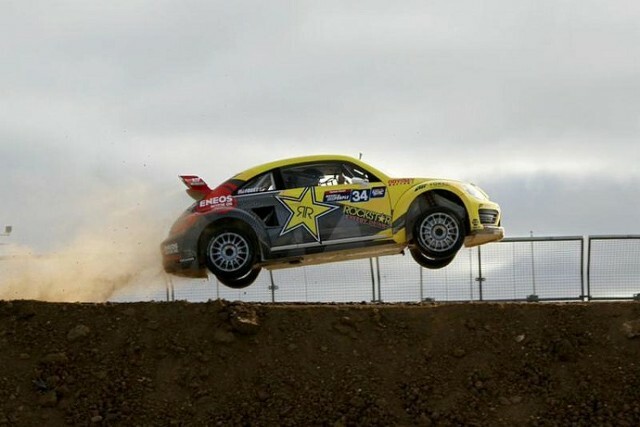 Foust has already confirmed his participation in the Global Rallycross championship in 2015 with the Volkswagen Andretti Rallycross (VARX) team alongside Scott Speed, with the team also expected to participate in this year’s X Games at the Circuit of the Americas in June. 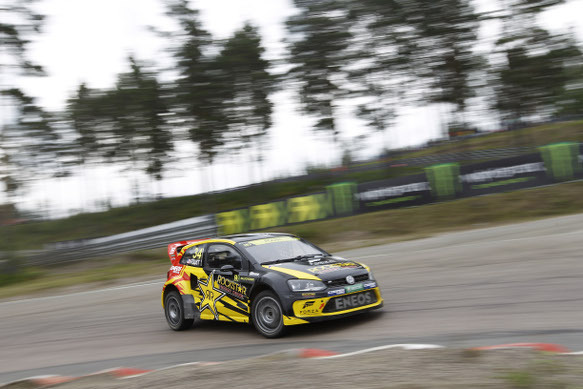 Foust and VARX are pre-season favourites to add to his two Global Rallycross titles. “Volkswagen and Andretti are a winning combination and we had a fantastic debut last year,” said Foust. “It’s exciting that in our first season we were able to get so much real-world GRC testing with the Beetle. He is also aiming to compete in the Pro-2 class of the Lucas Oil Off Road Racing Series in 2015. Foust’s 2015 schedule will also include Formula Drift (He's a two time world champion in this event as well), The Pro-2 class of the Lucas Oil Off Road Racing series and the X Games on top of a full Global Rallycross campaign. Foust’s 2015 Drift machine will be a brand new 900 hp Volkswagen Passat sponsored by Rockstar Energy Drink. “I think it is safe to say, the return of two-time FD champion Tanner Foust highlights the most anticipated Formula DRIFT season to date,” said Ryan Sage, the co-founder of the Formula Drift series.